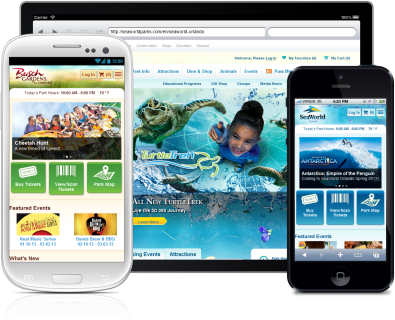 SeaWorld Parks & Entertainment Mobile Commerce – SeaWorld Parks & Entertainment made a splash with new mobile websites and ticketing for our theme parks. We launched the new mobile sites in January for the three SeaWorld parks and two Busch Gardens parks. Guests are able to use the mobile sites to purchase single-day tickets, as well as multi-park and season passes. Once purchased, guests will receive a digital admission ticket directly on their phone which they can use to directly enter the park. The mobile applications are also be able to suggest additional experiences, such as behind-the-scenes tours, up-close animal interactions and dining options, based on the tickets purchased. In addition to ticketing, the mobile sites include geo-location capabilities where guests can view driving directions to the park as well as theme park maps on their phones. The mobile sites are designed to work with Apple, Android and Windows operating systems. RelayMed – N-tier software solution that has 3 main sub-systems which were managed via Team Foundation Server 2010 and Axosoft OnTime utilizing SCRUM. Web Server – IIS 7.5 front end that is comprised of several ASP.NET web sites and WCF web Services. The Web sites were designed to manage the data coming from the Device Managers. The web application technologies used are: C#, ASP.NET, HTML, jQuery and CSS for the front end. The back end solution consists of WCF services that receive the data and uses a repository patter to store the data in a SQL Server 2008 R2 database. Also created a BI reporting system utilizing SQL Server Reporting Services. 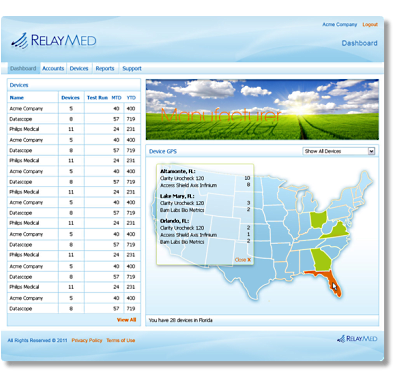 RapidRelay – Instrumental in the creation of the Disease Management Suite that is comprised of medical device connectivity, information delivery and data management systems. 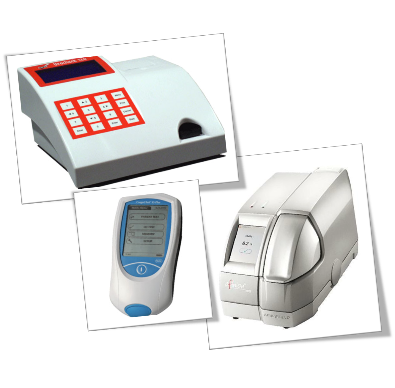 Some of the components include one-to-one and one-to-many medical device gateways and hubs that communicate over various protocols (HL7, GPRS, sockets, etc.). Also, messaging was either one-way or bi-directional for various systems and each information packet was delivered to a central data store then routed to various internal/external data management systems. 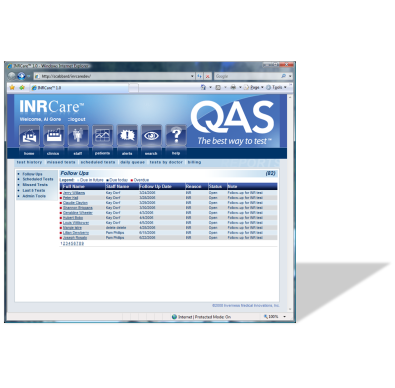 INRCare – The INRCare Service provides remote monitoring of patients on Warfarin therapy by their physicians and healthcare professionals via phone or computer for prompt and accurate documentation of Patient Self-Testing (PST) and Point-of-Care (POC) results. 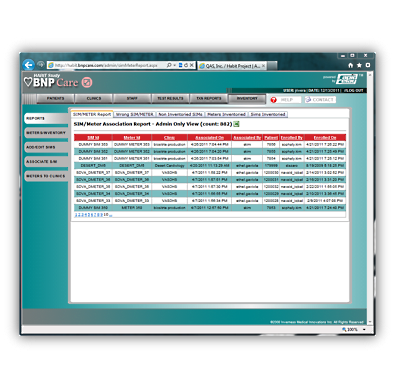 INRCare was built on ASP.NET 2.0 with Interactive Voice Response (IVR), FAX, EMR interfacing via HL7 and a host of IDTF solutions utilizing .NET technologies. QuickBooks to Dynamics GP (Great Plains) Migration – Developed Extract Transform Load (ETL) application using eConnect and .NET 2.0 to migrate the company from QuickBooks to GP in conjunction with our enterprise partner, ePartners. 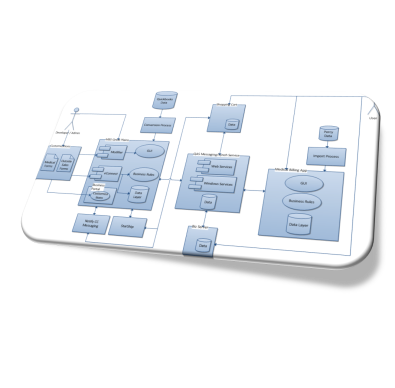 This system utilized custom VB.NET code, SSIS and XML serialization. QAStats – Developed the business intelligence solution utilizing SQL Server Reporting Services (SSRS), SSIS and custom .NET code. QAStats was comprised of two report servers, reporting across 6 different database servers. Most of the reports generated linked our ERP, CMS, Telephone, B/AP and Disease Management systems. Wheels Next.com – As the Internet Migration Specialist on the WheelsNEXT project, I was able to migrate the www.wheelsnext.com website from a Linux/Apache/PHP/MySQL platform over to a Windows Server 2003/IIS 6/ASP.NET (C#)/SQL Server 2000 platform. 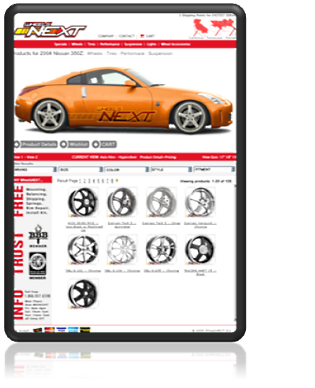 The main goal of the project was to improve page load times to coincide with those of tirerack.com and Search Engine Optimization. I was able to reduce page load times by ~ 60% from ~80sec. to ~30sec. and implement a vehicle search engine that improved the reliability and accuracy of the search while increasing the speed of the search by 100%. Jose put together a very effective technical team to deliver a complex project on time. He demonstrated good leadership and was always looking for ways to improve both himself and the product that was being developed by his team. I would highly recommend working with him.